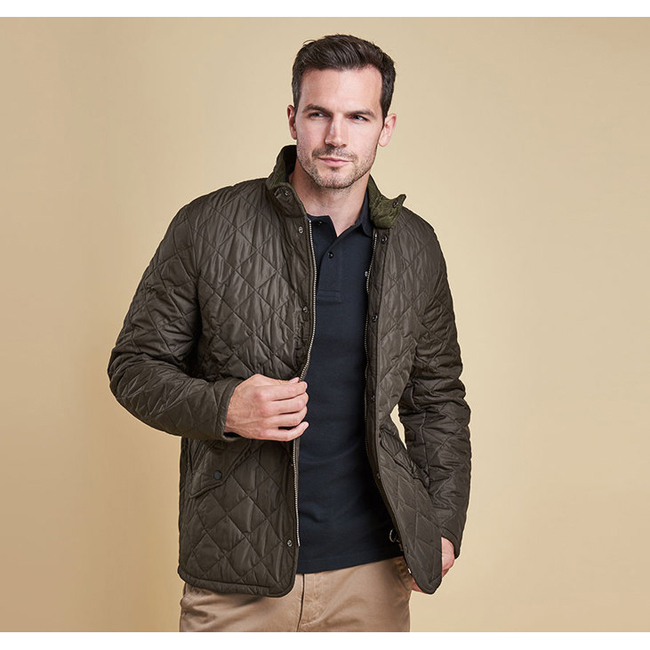 This men's quilted jacket is constructed in a matte-finished diamond quilted outer, with incredibly warm 100 gram wadding and a quilted polyamide lining for additional insulation. The quilted funnel collar creates a fashionable look and is lined with corduroy for a super-soft feel against the skin, while back waist tabs give an adjustable fit, allowing for essential winter layering. Robust stud fastenings help protect against wind and rain, and two front pockets offer plenty of room to carry essentials, with an additional zipped welt pocket to help to safeguard valuables. Available in a choice of four wearable colours, with tonal Barbour embroidery to the pocket flap. Lightweight yet keeps you extremely warm! Nice fit!